PRL’s Dry-set all glass door rails are the answer to an EASY and FAST All Glass Door installation. Our Dry-Set rails are engineered with a precision bolt assembly system to make the installation fast, safe and easy. 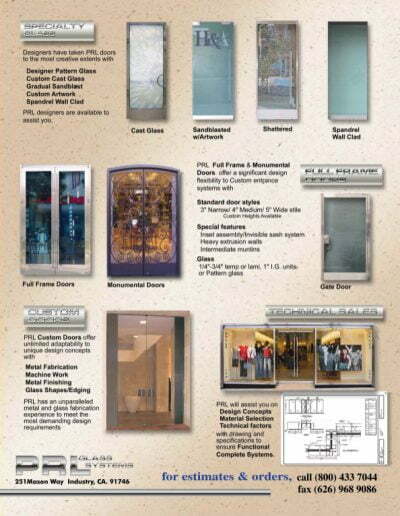 All fabricated to standard as well as custom sizes and are also available in standard and custom architectural finishes. PRL extrudes our own Dry-set door rails in house on our 2350 ton Aluminum Extrusion Press making PRL the leader of fastest lead-time in the Industry! 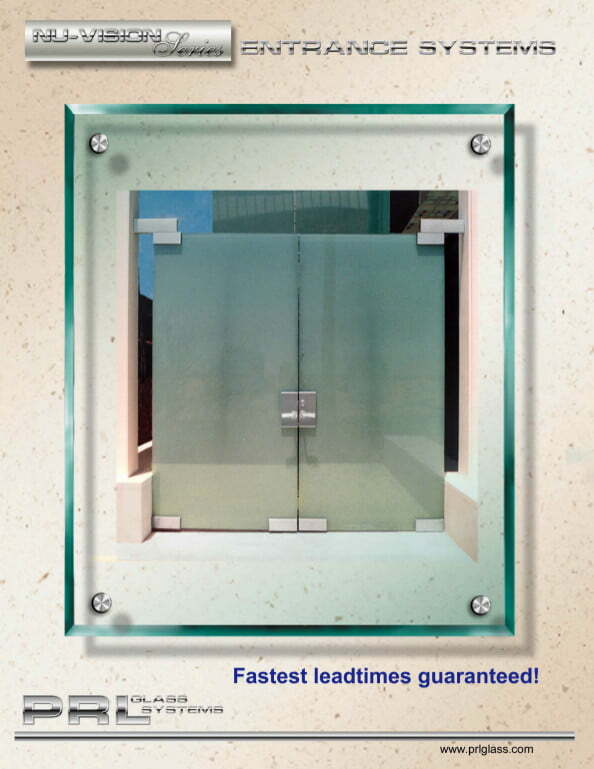 We do not only offer you the door rails but complete glass door packages. 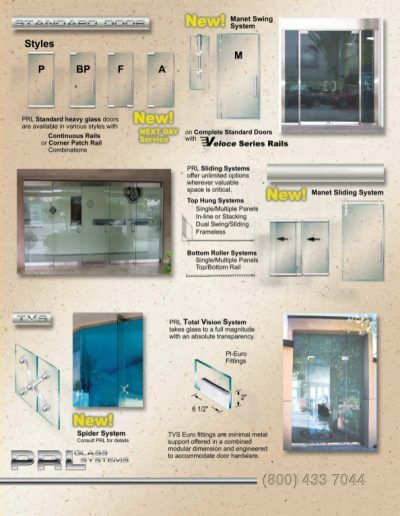 Most Dry-set rails will accept 3/8″ and 1/2″ tempered glass in clear, gray or bronze and low-iron as well as 5/8″ and 3/4″ clear or low iron tempered glass. 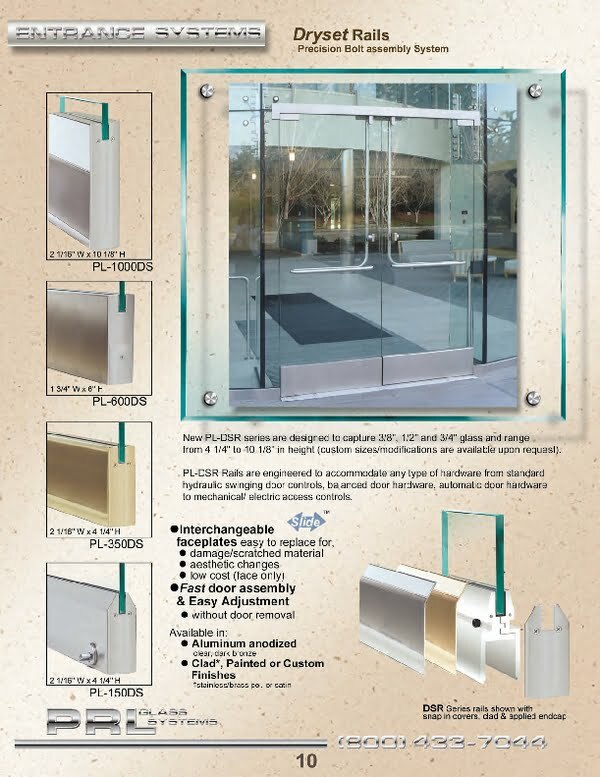 All Glass Door Entrances are fabricated and tempered in strict accordance with Federal Specifications. 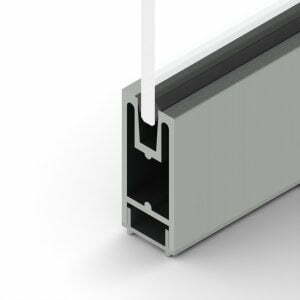 Dry-set all glass door rails are available in architectural profiles ranging in size from 2″ x 4-1/4″ beveled and up to 2″ x 10″ square. For more styles and additional dry-set details. Door rails can be used in a number of different combinations of continuous and/or corner rails. 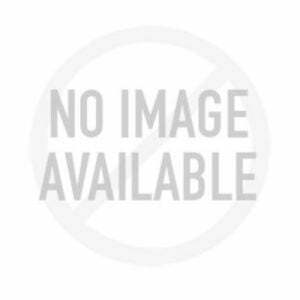 PRL Dry-set systems are designed for use with all standard hardware as well as our PL100 Panic Device. 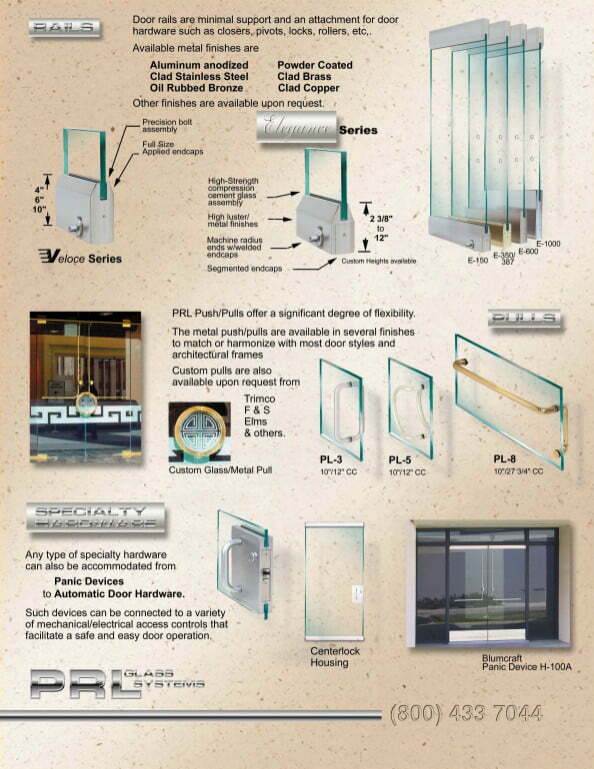 PRL’s Dry-set rails have unique, slide-on interchangeable faceplates, making them easy to replace if damaged or for aesthetic changes of the metal finish. 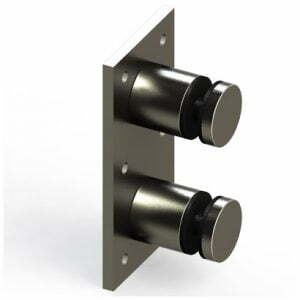 The slide-on faceplates also make for fast door assembly and easy field adjustments without door removal. Our mission is to simplify all your purchasing by offering you all of your Architectural Glass and Metal products and hardware all from one source, Simply supply us your specifications and we will take care of the rest Toll Free 800-433-7044.